A Canadian music icon has been honoured with one of The Royal Canadian Geographical Society's most prestigious awards. 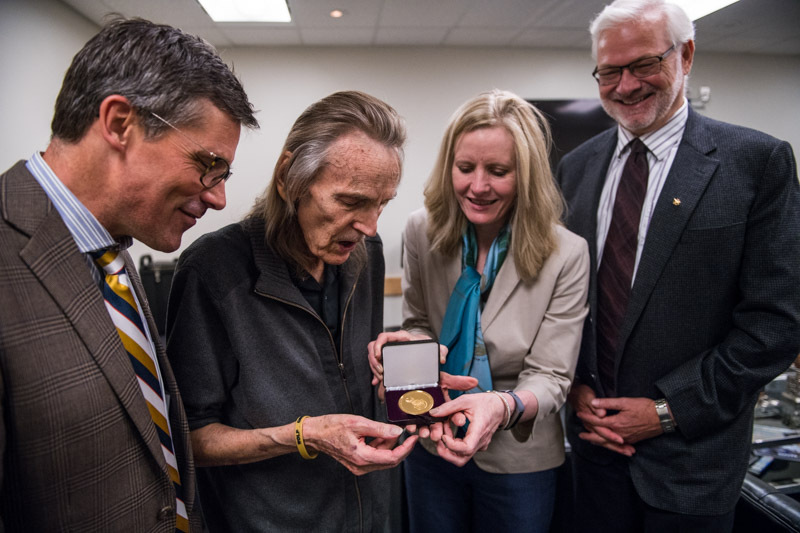 Beloved folk balladeer Gordon Lightfoot was presented with the Society's Gold Medal Friday night at a benefit concert in Toronto. The medal recognizes individuals who have made outstanding contributions to the field of geography and who have helped make Canada better known to Canadians and the world. Past winners include author Margaret Atwood, painter and naturalist Robert Bateman, and legendary broadcaster and naturalist David Attenborough. "There's no denying his music is part of our fabric. He has given voice to this place," says RCGS CEO John Geiger. "Lightfoot sings in the heart of Canada." 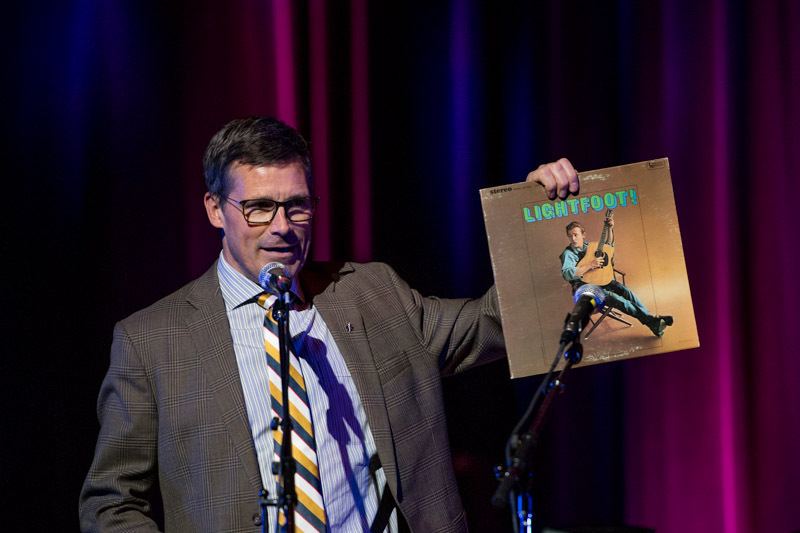 Adds RCGS President Gavin Fitch, who presented Lightfoot with the medal, "[Lightfoot] has carried Canada on his back, sharing its beauty with his millions of fans at home and abroad ... and he does so with grace, humility, and love." 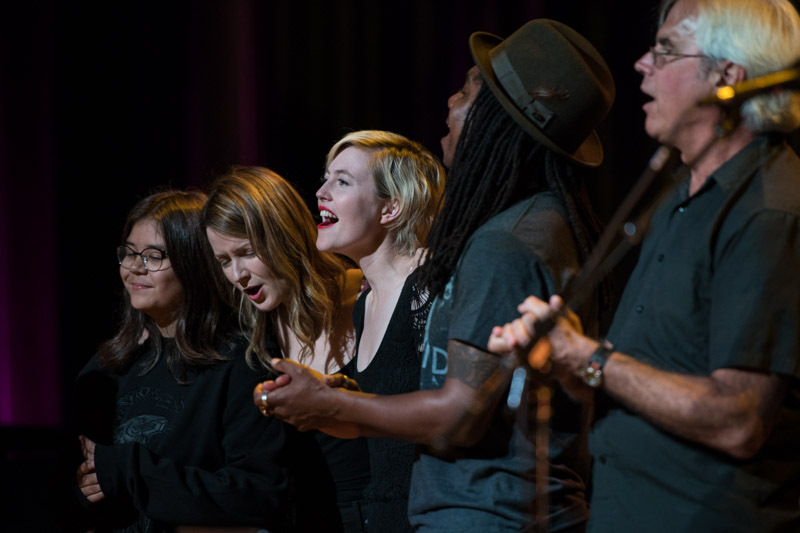 Lightfoot accepted the medal before a sold-out crowd at the CBC's Glenn Gould Studio, where Canadian folk artists including Jory Nash, The Legendary Good Brothers, DALA, Lori Cullen, Julian Taylor, Aengus Finnan, and Meredith Moon performed their own versions of Lightfoot's songs in support of McDermott House Canada. 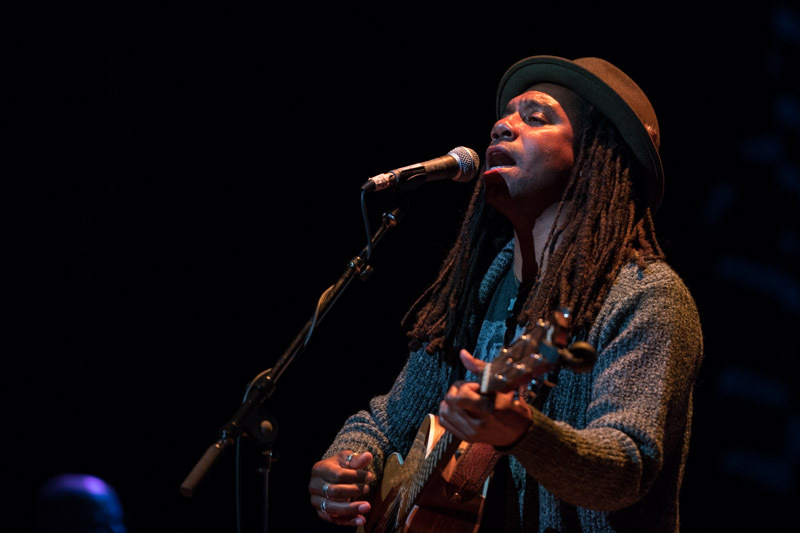 Following the medal presentation, Lightfoot stepped into the wings, and emcee David Newland said eight words that made the audience go wild: "Gordon says he's going to get his guitar." Taking the stage again, Lightfoot thanked the artists and organizers for their tributes, then shared memories of his many canoe trips in Canada's north, including on the Nahanni, the Back, and the George River in Quebec, where he wrote "Shadows." "I was paddling a long stretch of river — it was almost like a highway, it was completely flat — and this whole stretch of river was filled with trout, just jumping everywhere, and I swear, a trout almost jumped right into my canoe. You've got to do a canoe trip!" he told the crowd with a chuckle, before launching into "Restless" and "If You Could Read My Mind." 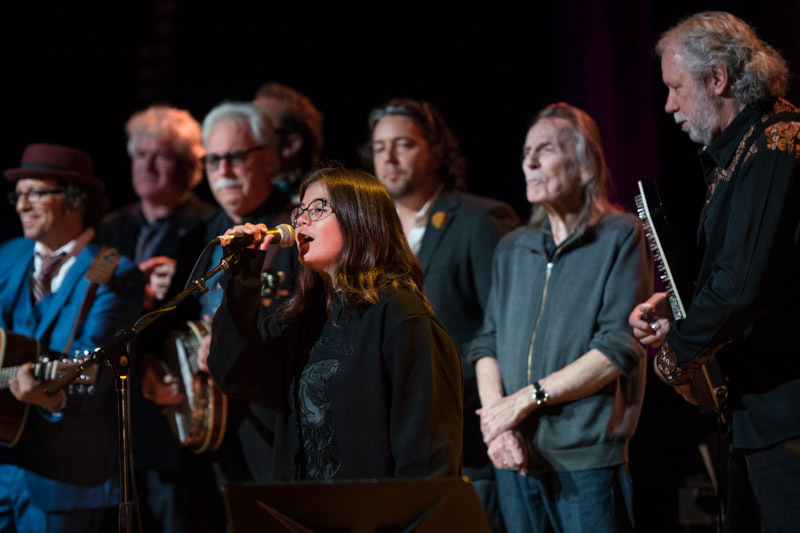 Later in the evening, Lightfoot joined The Good Brothers onstage for a rousing rendition of "Alberta Bound," then returned for the final number, which saw all the night's artists — and Lightfoot's 10-year-old granddaughter — perform "Rich Man's Spiritual." Scroll down to see more photos from the evening.